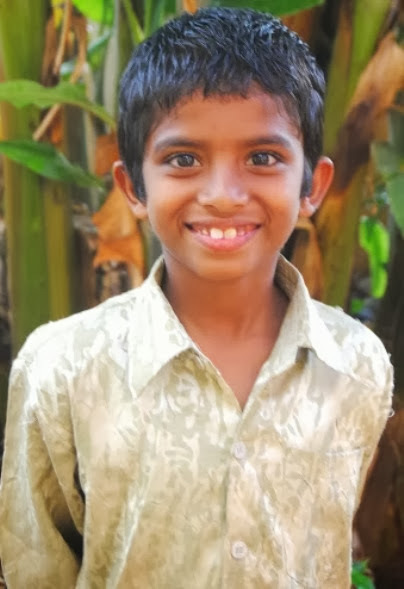 New Hope for Children Orphanage: Nikhil was abandoned by his father - Please support him! Nikhil was abandoned by his father - Please support him! "My name is Nikhil. I am 8 years old and my birthday is September 6, 2005. I am studying in 2nd grade. I love to play cricket and I want to be a doctor when I grow up. I have one sister and one brother. My father abandoned my family and left us to be looked after by my mother. My mother didn’t want to work to support us so she sought out a place for us to stay. She heard about New Hope Children’s Home and got my admittance into the home. Now that I am living there, I am happy with all my brothers and sisters here. I am so thankful to be receiving an education and that I am being so well taken care of! I am in need of a sponsor." CLICK HERE TO SPONSOR NIKHIL!